Psychology is often defined as the ‘science of mind and behaviour’ covering all aspects of human experience using a scientific approach. 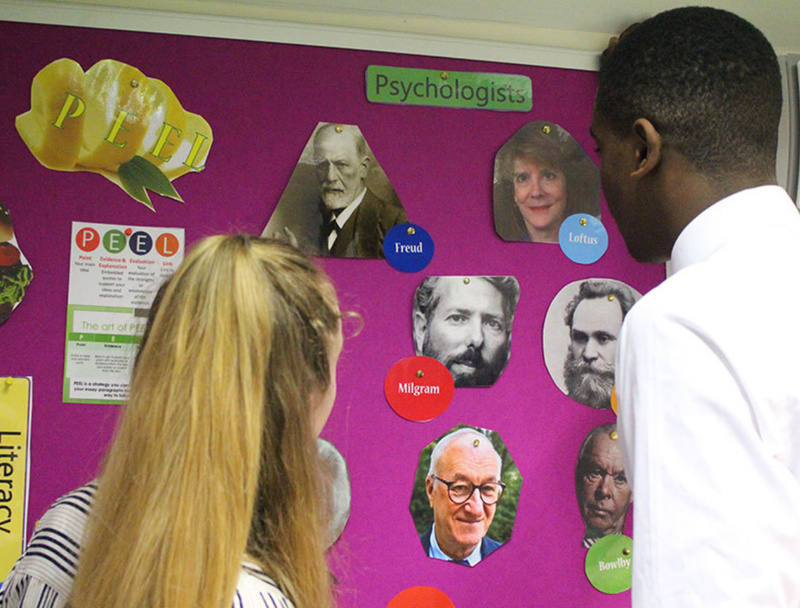 Psychology is a popular subject which is increasingly attractive to students because it develops a range of transferable skills to further study and the workplace, including critical analysis, independent thinking and research. The course is linear and runs over 2 years with students developing and deepening their skills as time progresses on the course. It relies on cross linking and development of links between units as well as within units. Year 1 aims to give an overview of the main areas of the subject. Year 2 allows for some of these areas to be studied in greater depth. http://www.bps.org.uk - The website of the British Psychological Society – it governs all the research that takes place in the UK and publishes journal articles. The skills and knowledge of psychology are relevant to any career involving contact with other people. Whilst they will be particularly relevant to such careers as teaching, medicine, personnel management and social work, they are also relevant to careers in business, customer relations, the police, journalism, advertising and the law. An A level in psychology can help you into work but is also recognised as a sound preparation for university.